Nurse May 2015 Board Exam Results (List of Passers, Topnotchers) - Balita Boss! 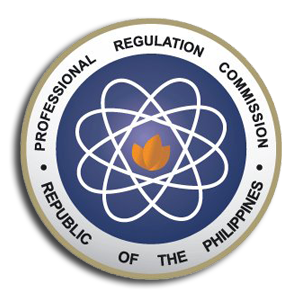 The Professional Regulation Commission (PRC) released the May 2015 Nurse Licensure Examination results. The official results were released on Tuesday, June 23, 2015. The examination was conducted by the Professional Regulation Commission (PRC) on May 30 and 31, 2015 in various testing centers across the country which includes Manila, All Regional Offices, Zamboanga, Cabanatuan, Dagupan, Laoag and Bacolod. A total of 9,707 out of 17,891 examinees passed the May 2015 Nurse Board Exam, according to PRC (via PRC Website). BICOL UNIVERSITY-LEGAZPI graduate BENEDICT REY MONTAS SERRANO topped the May 2015 Nurse Board Exam with a passing rate of 86.40 percent. To download the May 2015 Nurse Topnotchers, please click here or here. To download the May 2015 Nurse List of Passers, please click here or here. To download the May 2015 Nurse Performance of Schools, please click here or here. CHINESE GENERAL HOSPITAL COLLEGES, SILLIMAN UNIVERSITY and WEST VISAYAS STATE UNIVERSITY-LA PAZ emerged as the top performing school in the May 2015 Nurse Licensure Examination as per Commission Resolution No. 2010-547 series of 2010, with 100.00 passing percentage. The Board of Nursing who administered the May 2015 Nurse Board Exam are Carmencita M. Abaquin, as Chairman, with members namely Perla G. Po, Gloria B. Arcos, Carmelita C. Divinagracia, Carfredda P. Dumlao, Glenda S. Arquiza and Florence C. Cawaon. In November 2014 Nurses Licensure Exam, a total of 15,292 out of 26,690 successfully passed the Board Exam. ELIJAH CATACUTAN LEGASPI of PAMANTASAN NG LUNGSOD NG MAYNILA topped the November 2014 exam with a score of 86.80 percent. Thank you for reading. Please follow Balita Boss? on Facebook, on Twitter or on Google+ to receive updated information about the Nurse Licensure Examination.